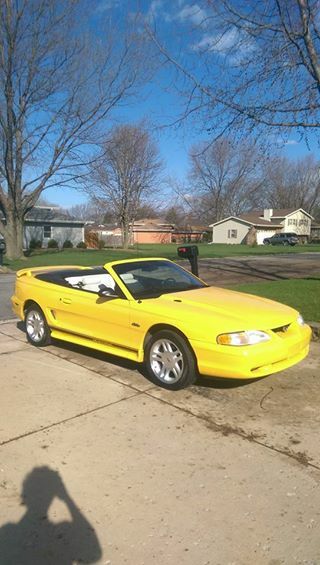 4th gen yellow 1998 Ford Mustang GT convertible For Sale. driver leather seat and driver floor mat is only spots that shows wear. 4.6 runs awesome and starts right up. AZ car can to IL last year. Never seen snow. tops works perfectly up and down. Have a leather cover for the convertible top when it’s down. overall car is a 8/10 and in my opinion its in alot better shape than majority out there. Contact phone – 815-739-3054 – (use phone number only, don’t send inquiries – contact by email is not available). 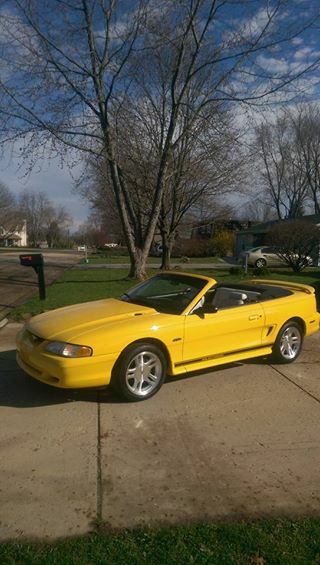 Car located in – Channahon, Illinois, US.